Not only had he pointed out the evils to be dealt with, but the means of dealing with them. Earnest prayer, the formation of a learned, zealous and devout priesthood, religious instruction for the adult as well as for the child, wise efforts to ameliorate the condition of the poor and deal with the social question, Christian charity towards both friends and enemies, the faithful keeping of the commandments of God, the frequent use of the sacraments -- thus as the "restoring of all things in Christ" to be accomplished. All his life Pope Pius X had been a strenuous worker. At sixty-eight he was still a hale and vigorous man. He rose early, making an hour's meditation and reciting his Office before saying Mass, which he did usually at six o'clock. The day's work was carefully planned so that no time might be lost. A born organizer, the pope soon acquainted himself thoroughly with all that concerned the administration of the government of the Church and set on foot several necessary reforms in the work of the different congregations. Practical, punctual and exact in all his undertakings, he required that others should be the same. There was not a question of the day in which his quick intelligence did not take a lively interest. "He is a wonderful listener," said a French statesman who had an audience with him in the early days of his pontificate. "He grasps the matter under discussion quickly and completely, going straight to the point, which he sums up in a few precise words. To my mind he possesses the qualities of a true statesman as much as Leo XIII. He sees in one comprehensive glance what is possible and what is not. What struck me still more in him was his calm, steadfast courage. There is no rashness about him; he will be slow to condemn, but when he does he will be inflexible. If difficult circumstances arise he will show himself both a hero and a saint." Pius X had been brought up in no school of diplomacy, but the same goal may be reached by different roads. "A man born of the people," said another writer, "who has lived among working men, a student of the Bible and of the Fathers of the Church, of philosophy and theology --- a man rich in experience and knowledge of men and things." Lovers of church music in all countries had hailed with joy the news of Cardinal Sarto's election to the papacy. The changes brought about in Venice had not passed unnoticed in the musical world; a need for reform was universally felt. "May we not hope that your Holiness will do for the world what you have already done for Venice?" asked a French musician. "It shall be done and soon," was the reply, "but it will be a hard fight. And not the only one," added the pope thoughtfully, musing on the work that lay before him. Leo XIII had more than once urged on the faithful the study of the traditional music of the Church. He had even sent to Venice for Don Lorenzo Perosi to take charge of the music of the Sistine Chapel; but the Italians clung to their operatic effects, and the results had not been notable. On the 22nd of November, 1903, the motu proprio [a document drawn up by the pope on his own initiative] on sacred music laid down definite rules on the matter. "Nothing should have place in the church that is unworthy of the house of prayer and the majesty of God," said the pope. "Sacred music contributes to the fitness and splendour of the ecclesiastical rites, and since its principal office is to clothe with suitable melody the liturgical text proposed for the understanding of the faithful, its proper aim is to add greater efficacy to the words, in order that through it the people may be the more easily moved to devotion and better disposed for the fruits of grace belonging to the celebration of the most holy mysteries. It must be holy, it must be true art, it must be universal; and since these qualities are to be found in the highest degree in the Gregorian chant ... the more closely the composition of church music approaches ... to the Gregorian form, the more sacred and liturgical it becomes; and the more out of harmony it is with that supreme model, the less worthy it is of the temple." The motu proprio, however, did not exclude the use of modern music, provided that it was suitable to be associated with the liturgy; but theatrical music was not to be tolerated. Rules were laid down to guarantee the dignity and solemnity of church offices; paid singers, especially women, were not to be employed in the choir; bands and orchestral accompaniments were forbidden. Bishops were to institute special commissions of persons skilled in sacred music, to see that the rules were carried out. Schools of sacred song were to be established in those seminaries where they did not already exist, and in town and country parishes. From his personal experiences at Tombolo, Salzano, Treviso and Mantua, Pius X knew that this was perfectly practicable. In the letter to Cardinal Respighi, cardinal-vicar of Rome, written a few weeks later, the pope laments once more that the beautiful musical tradition of the classical Roman school had almost totally disappeared. "For the devout psalmody of the clergy," he writes, alluding to the singing of Vespers, in which the people also used to join, "there have been substituted interminable musical compositions on the words of the Psalms, all of them modeled on theatrical works, and most of them of such poor quality that they would not be tolerated for a moment even in second-rate concerts. 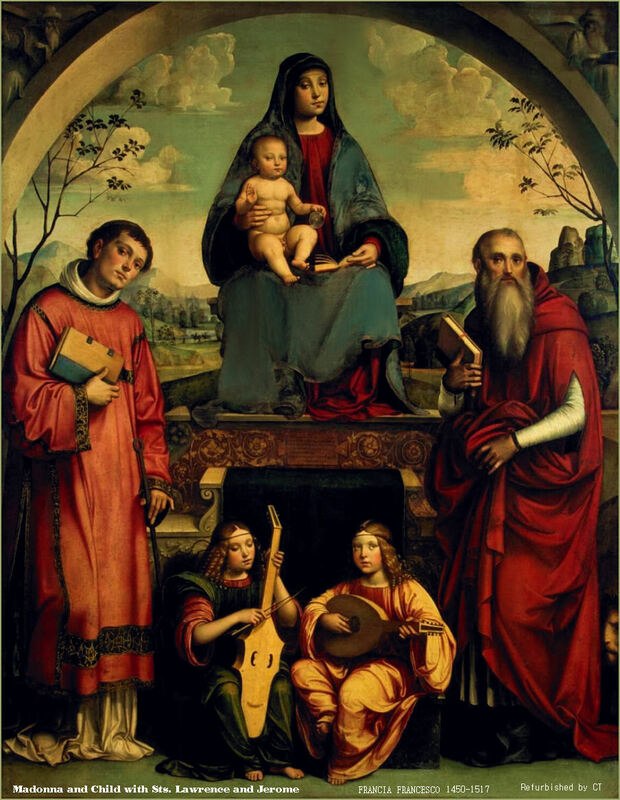 Gregorian chant," he continues, ''as it was handed down by the Fathers and is found in the codices of the various churches, is noble, quiet, easy to learn, and of a beauty so fresh and full of surprises that wherever it has been introduced it has never failed to excite real enthusiasm in the youthful singers." The motu proprio was received with joy by many, and with consternation by those who believed that operatic music was an attraction to the multitude. "We are going to have good music in church," observed Pius X to Don Perosi. "The pope has not been slow in carrying his words into effect," said a writer in the Ecclesiastical Review. "May he live long, this lover of the sanctuary and of the beauty of holiness; and may his kindly face soften those hard hearts that can still bring themselves to sing bravura, not to say buffo, boldly before the Blessed Sacrament, with fearsome shriekings, tremblings and trills." Some hearts were not softened. Pius had spoken the truth when he said, "The pleasure of a depraved taste rises in hostility to sacred music; for it cannot be denied that profane music, so easy of comprehension and so specially full of rhythm, finds favour in proportion to the want of a true and good musical education among those who listen to it." That reform was necessary in England may be shown by the impression made on a serious outsider by the music in use in some of our Catholic churches. "You have Miss A. singing duets with Miss B. to the words, 'Domine Fili Jesu Christe' as if they were singing 'O hat we two were maying,' or 'There's Life in the Old Horse yet,' and to music which would disgrace a tenth-rate writer of music-hall songs. Or if it be a male choir, you hear thunderous basses without a note in tune, and emasculated tenors ... engaged over worrying the most solemn words of the Creed as though they were prize dogs, and the Creed a pack of rats." It was not that the pope cared for nothing but classical church music and Gregorian chant. He was a lover of all good music, whether sacred or secular. But he considered that operatic music, however beautiful, was unsuited to the sanctuary. It is possible to admire the pictures of Watteau, without desiring to see them used as altarpieces. In his first encyclical Pius had already touched on the question of Catholic social action. In his motu proprio of December 1903 he spoke still more definitely on the subject. Born and brought up in the midst of the people, he could thoroughly understand their needs. He foresaw also the dangers of rash and imprudent action which might rely too strongly on popular effort and influence. It was not the movement towards social reform itself which stood in need of being checked, but the extravagances of some over-enthusiastic reformers. "Christian democracy," he declared, "must have for its basis the principles of Catholic faith and morals, and must be free of political parties." His great predecessor Leo XIII, having luminously traced the rules of Christian popular action in his famous encyclicals (continued Pius), his own desire was that those prudent rules should be exactly and fully observed. He had therefore decided to collect them in an abridged form that they might be for all Catholics a constant rule of conduct. After having laid down man's right to the use and permanent owner- ship of property, he passed on to the obligations of justice between masters arid men, and the utility of aid societies and trades unions. Christian democracy, he maintained, had for its special aim the solution of the difficulties between labour and capital, but in order to do this effectually it must be based on the principles of the Catholic faith and morality; it must not be made use of for party purposes; it must be a beneficent activity for the people founded on the natural law and the precepts of the Gospel. Catholic writers, when upholding the cause of the people and the poor, were to beware of using language calculated to inspire ill-feeling between classes. Here, as in other matters, obedience to the laws of God and of the Church was to be the means to the solution of the many difficulties which existed. "Godliness is profitable to all things," he had said in his first encyclical, "and when this is whole and vigorous, in very truth the people shall sit in the beauty of peace." In 1905 an apostolic letter to the Italian bishops defined still more clearly the lines of Catholic social action. "Such," he says, "is the power of the truth and morality taught by Jesus Christ, that even the material well-being of individuals, of the family and of human society receive support and protection." The civilization of the world is Christian civilization; the more frankly Christian, the more frankly true, the more lasting and the more productive of good fruit; the more it withdraws from the Christian ideal, so much the feebler does it become, to the great detriment of society. The Church has been throughout the ages the guardian and protector of Christian civilization. What prosperity and happiness, what peace and concord, what respectful submission to authority, what excellent government would be established and maintained in the world if the perfect ideal of Christian civilization could be everywhere realized. But given the constant warfare of flesh with spirit, of darkness with light, of Satan with God, so great a good in its full measure can scarcely be hoped for. Yet this is no reason for losing courage. The Church goes fearlessly on, and while extending the Kingdom of God in places where it has not yet been preached, she strives by every means to repair the losses inflicted on the Kingdom already acquired." Once more the only means that can achieve the desired end are clearly pointed out: "To reinstate Jesus Christ in the family, the school and society; to re-establish the principle that human authority represents that of God; to take closely to heart the interests of the people, especially those of industrial and agricultural workers, to endeavour to make laws conformable to justice, to amend or suppress those which are not' so ...to defend and support the rights of God in everything, and the no less sacred rights of the Church." "What can I do for the Church?" asked a lady of Pius X at a private audience. "Teach the catechism," was the prompt and perhaps rather unexpected reply. "It is manifestly impossible," said the pope, "to re-establish all the institutions found useful in former times; instruments must be suited to the work intended. There must be unity, co-operation in working, suitable methods adapted to the times. In all Catholic social work there must be submission to ecclesiastical authority. Let everyone, therefore, strive to ameliorate ... the economic condition of the people, supporting and promoting institutions which conduce to this end ... and let all our beloved sons who are devoting themselves to Catholic action listen again to the words which spring so spon- taneously from our heart. Amid the bitter sorrows which daily surround us, we will say, with the apostle St. Paul, if there be any consolation in Christ, if any comfort comes to us from your charity ... fulfill ye our joy, that you being of one mind. ..agreeing in sentiment, with humility and due submission, not seeking your own convenience but the common good, and imprinting on your hearts the mind which was in Christ Jesus our Saviour. Let Him be the beginning of all your undertakings. 'All whatsoever you do in word or in work, all things do ye in the name of the Lord Jesus Christ,' let Him be the end of your every work; for of Him, and by Him, and in Him, are all things; to Him be glory for ever. Amen.' "
During the whole life of Pius X the Bible had been his favourite study. Every encyclical he issued bears witness to his intimate knowledge and love of both the Old Testament and the New. The words in which he insistently recommended the careful and loving study of Holy Writ to priests and people would greatly astonish those of our separated brethren who persist in believing that the Catholic Church forbids the reading of the Bible by her children. When receiving representatives of the Society of St. Jerome for the diffusion of the Holy Scriptures, he spoke with the greatest praise of the splendid work of this most deserving institution, which in the space of fifteen months had been able to give out more than 200,000 copies of the gospels: to those Catholic theologians who were engaged in historical studies and biblical research he always gave the warmest encouragement. "The Catholic faith has nothing to fear from knowledge, but much from ignorance," was a truth that he more than once averred. The pope, who in his youth had entered keenly into all the games and sports of the seminary life, was a strong believer in schemes for the physical development of youth. "I bless with all my heart your games and amusements," he said on the occasion of a display in the Vatican gardens by athletic clubs. "I approve of your gymnastics, your cycle, boat, and foot races, your mountain climbing and the rest, for these pastimes will keep you from the idleness which is the mother of every vice; and because friendly contests will be for you the symbol of emulation in the practice of virtue. ... Be strong to keep and defend your faith when so many are losing it; be strong to remain devoted sons of the Church when so many are rebelling against her ... be strong to conquer the obstacles which you will meet in the practice of the Catholic religion, for your own merit and for the good of your brothers." To the pilgrimages that flocked from all parts of the world to do him homage, Pius X addressed like words of sympathy and encouragement. "I bless you all, great and small, rich and poor," he said to a band of peasants from Moravia ---- "the good that they may remain good; those who have strayed from the right path, that they may come back to it; parents that they may bring up their children well; children that they may honour the white hairs of their parents and the country that has nourished them." "Tell the rich to be generous in almsgiving," he said on another occasion; "tell the poor to be proud of being chosen as the living representatives of Christ on earth. Bid them neither envy nor hate others, but have resignation and patience." It was to those of his own province that a special tenderness was revealed. "If I could tell you all that is in my heart," he said one day to a pilgrimage from Treviso, "when night comes on I should be still speaking." 1 there was no thought either in his mind or in theirs that honours might come to them through his position. "Thank God, we are all able to support ourselves," said one of his sisters soon after his election, "we need trouble him for nothing. Poor dear," she added compassionately, "he has all the poor people in the world to think of now." They had their own places in the pope's private chapel, and on gala days at St. Peter's. That was their only privilege, and it was all that they asked. It was said of the new pope that his usual expression .was one of overwhelming sadness, and to those who only saw him in public this might have seemed to be true. His humble spirit hated pomp and display, and the burden of his huge responsibility lay heavy on his soul. When borne through the crowd in the sedia gestatoria he seemed more than ever conscious of the weight of the cross laid upon him by his divine Master. "His face amid the scene of triumph spoke of the vanity of all earthly glory. He had ever the look of one who is weighed down by the sins and the sorrows of mankind --- a look befitting the vicar of Him of whom we speak as the Man of Sorrows," wrote Wilfrid Ward. In St. Peter's he would allow no outbreak of the applause which had become customary at papal services. "It is not fitting that the servant should be applauded in his Master's house," he said sternly as he gave the order. So it was in silence that he passed thenceforward amongst his people --- but a silence tense and trembling with an emotion that would occasionally break out in spite of all attempts at restraint. But those who knew him intimately had another tale to tell. The genial and merry spirit that had been his of old, though overshadowed at first by the burden he had to bear, was by no means dead. He had the art of making himself all things to all men; he could be gay and merry with the young, wonderfully tender and gentle with those in sorrow or suffering "He had the greatest heart," said one who knew him well, "of any man alive."